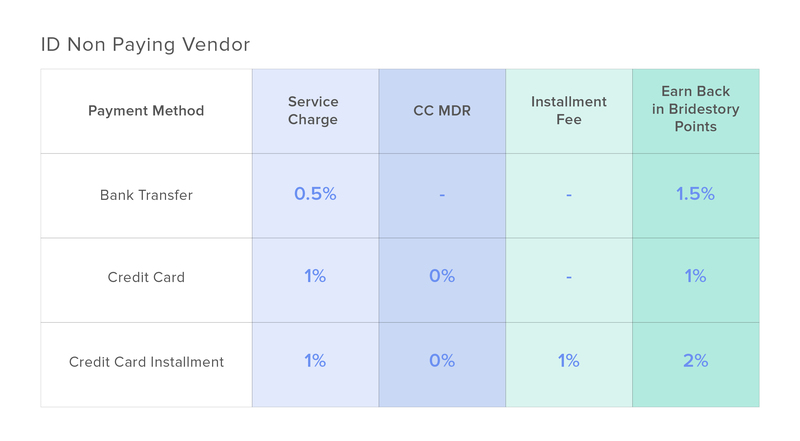 Indonesian Vendors, Enjoy 0% MDR Charge with Bridestory Pay! We understand that as a wedding vendor you would want to give your best deal to the clients and brides-to-be, so we want to help you grow bigger and better. 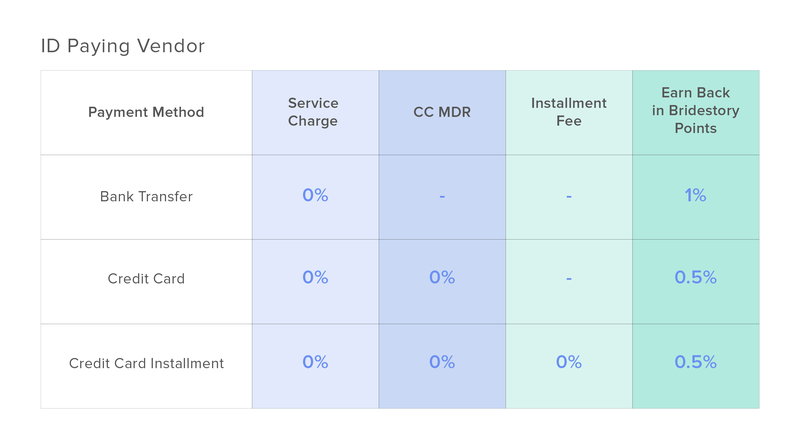 That is why we give you an MDR charge reduction, even no charge if you make a transaction with clients through Bridestory Pay! Activate Bridestory Pay now to enjoy the benefits because this offer will last only until April 30, 2019. 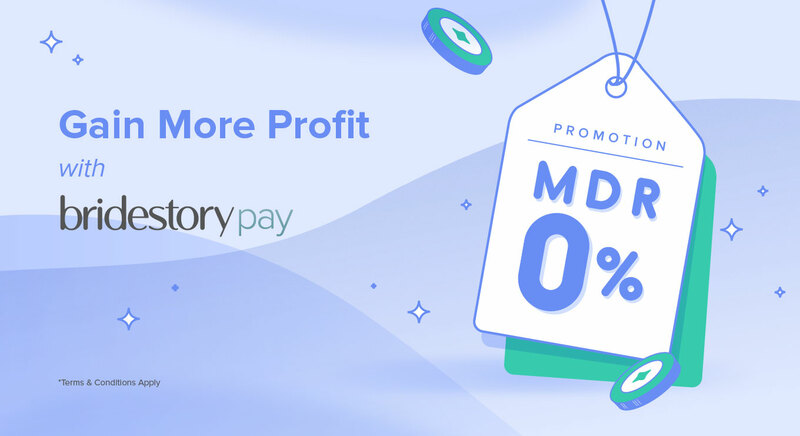 For more information, go to https://business.bridestory.com/bspay or contact your Business Manager.